This is just a sample of one out of numerous chats/conversations on my return to school to pursue a doctorate degree (DPhil) in International Development at Oxford University. I’ve had lots of kind words of support, good will and encouragement; few responses have been very curt and indifferent, while fewer still hinted at a barely concealed disapproval: from the “oh okay” to the “do you really think this is what a girl your age should be doing?” and to the “but when are you getting married? It seems it is not on your agenda”. The love, support and understanding of my family and those that genuinely care is what is most important. It has been a very eventful year. I can still recall submitting the application for the DPhil in January this year, just three minutes before the deadline expired; then hoping I’d get in but not really sure I’d make it; receiving the admission offer and being ecstatic about it; and just when I had started fretting about where and how to secure funding for this 3-year-plus degree, Oxford offers full funding for the entire duration of the DPhil and I am euphoric, and shortly after, moving to Brussels for an internship which I had secured simultaneously. My 3 months in Brussels was a lovely experience: working with a very influential organization, the International Crisis Group and all the amazing people there. It was an opportunity to really explore some other parts of Europe – from the elegant and regal Parisian architecture, to the bicycle-lined streets of Amsterdam, its coffee shops and other places not to be mentioned 🙂 ; the lovely Belgian cuisine – the famous Belgian frites, the mussels, waffles and pastries. It was an opportunity to meet lots of interesting people and make lasting friendships. Moving back to the UK was a bit daunting I must confess, not just the thought of relocating again to a new city, finding a place to live and settling back in; but importantly, the fact that I would be part of a prestigious institution almost a thousand years old, where world leaders spanning 26 British Prime Ministers, the likes of Aung San Suu Kyi, Bill Clinton and Benhazir Bhutto have graced its halls, and economists such as Adam Smith and Amartya Sen, and famous writers such as Oscar Wilde and J.R.R. Tolkein have poured over its vast collections of books and brooded in the Bodleain Library. The list of influential people in politics, arts, music, film and industry who have walked it’s cobblestone streets is endless. 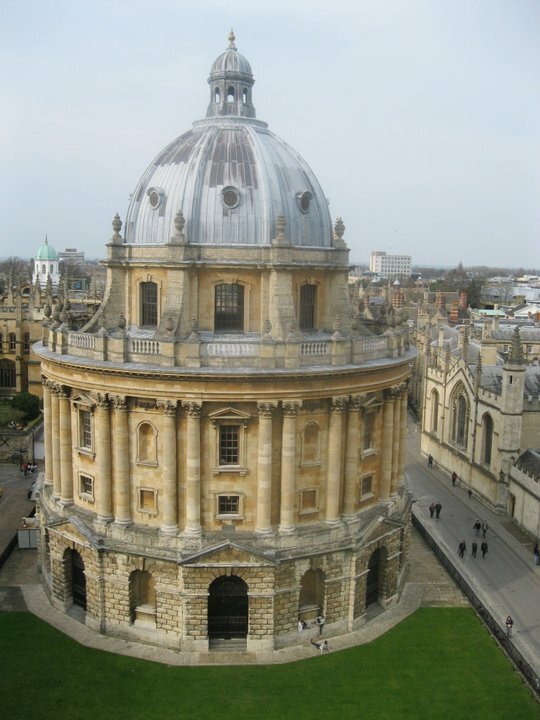 Oxford University is an institution steeped in centuries old traditions, rituals and rules that sometimes make you grit your teeth, especially as you try to navigate the complex collegiate system found in few universities around the world. For the most part though, one marvels at these traditions as these constitute one of the reasons why Oxford is the great place that it is today; the hundreds of opportunities that are all around jumping at you, begging to be taken; a place that promises limitless possibilities to be who or what you could be. It is incredible. It is overwhelming. It is intimidating, yet it is an amazing opportunity. In all of the travelling, moving, and relocating – from Birmingham, to Brussels to London and now to Oxford, I am acutely aware of how “lucky” someone of my demographic: black, African, Nigerian (Northern-Muslim in particular) woman is, to have such opportunities to pursue their dream, and to have the constant flow of love and support from those whose opinions matter, coming from an environment with a lowly constructed glass ceiling society has erected for women like myself and which surprisingly, some of us women willingly choose to reinforce. The common perception is that an “over-educated” woman will not easily find a husband to marry because she’d be regarded as too “wise”, too “liberal”, too Westernized, too opinionated, too strong-headed and not easily tamed. There is also the common perception that an unmarried female who has chosen this sort of career or academic path has clearly placed more importance on her career pursuits than on “settling down” and starting a family, and that her femininity is somehow displaced by these pursuits. It doesn’t matter if some of us have loved reading and writing and were book worms right from our pre-teens, love research and are deeply passionate about what we do; it doesn’t matter if circumstances of life have made us or even forced us to tow this path, it doesn’t matter that maybe there’s a hidden hand of destiny nudging us ahead. All these are inconsequential to this line of thinking, because women like myself are too “exposed”, we’ve chosen our career over a “stable” family life, we’re “losing” our meekness and frailty and are “doomed” to an agonizing lifetime of spinsterhood, loneliness and “feminism” (feminism in this context assumes a different meaning)! Interestingly, out of about 20 new DPhils that started in my department this year, about 65% or so of us are women – and these are not some old, wrinkled, sad, tired, dishevelled and miserable women – these are beautiful, young women mostly in mid to late 20s (about three of my fellow DPhils could easily pass for supermodels). Choosing to have a career (whether academic or otherwise) doesn’t take away one’s femininity, doesn’t mean you’ve sworn-off relationships and marriage, doesn’t mean you’ve resigned yourself to a life of perpetual spinsterhood and is not an automatic one way ticket to hell. It is all about taking an opportunity to do what it is you love doing, to explore and exploit your God-given abilities, to be useful to society and make good use of your time and contribute your own quota to the betterment of yourself at the very least, and the people around you. This doesn’t deprive women like myself of our ability to smile, to laugh, to be warm and caring, to love and to be loved, to start a family and to be there for them, to gossip with friends or to cook. On another note, certain situations over the past few months have truly restored my faith in humanity and the intrinsic good within most human beings. I have found myself, several times, in relatively distressing situations and I was and still am amazed at how complete strangers go out of their way to help one in need, whether by helping to push one’s trolley loaded with several suitcases just in time to catch a train booked in advance or just someone giving a helping hand when you need it the most. There are still good, kind-hearted and generous people left in this world, and this is probably why the world still hasn’t imploded on itself with all the evil and wickedness that abound elsewhere daily. As I resume school in earnest, only time will tell in the next three years or so as I continue my academic and career pursuits, whether I will acquire more masculine attributes and perhaps, grow a beard, or whether life will just go on as usual. Until then, I can’t wait to plunge into my research fully, with relish. Absolutely awesome! I love the piece… God’ll see you through. Amen. First, let me congratulate you on this feat. It’s indeed enviable. You’re really breaking traditional barriers as you said and that’s refreshing. I’ve lived in Northern Nigeria and I know how grossly neglected girl-child education is. Thats a good piece.as a single working class male in his 30’s,i am continuously bombarded with d subject of marriage reason being i have a good paying job & not getting any younger.this societal pressure is ubiquitous.it doesnt matter whether u r male or female(though the bulk of this pressure is felt by women).marriage is a thing of time.quoting shakespeare,”it will come when it will come.”pursue ur goal with optimism & vigour.when d time comes,ur prince charming will sweep u off ur feet d way a hot knife slices through butter.life will surely continue.all d best. Oh shut up! She chooses to further her ‘sturdies’ first, marriage will come when it comes. Deal with it. Kaltume, softly on the guy please. Kada dukan yayi yawa. Truly inspiring sis. Allah Ya bada sa’a… Cracked me up at “grow a beard” hehehehehe! I can picture U already with a goatee! Zainab go all the way of your dreams surely it is an opportunity very few have and I would say you are breaking barriers and becoming an example for our generation. congratulations and I cant say how happy am for you. Allah ya bada sa’a. Full funding to Oxford!! That’s amazing! Congratulations! And I can understand some of the frustrations of having men (and women) tell you that you should be focusing on marriage, not on your studies, as, even as a foreigner I have often gotten some of the same remarks. My answer is that God has given this path for me to take, and, of course, knowledge does not make me any less feminine, anymore than it makes a man less masculine. Allah Ya ba da sa’a. Allah Ya kara miki albarka. Zainab am soooo proud 2 call u my cousin. We All love you aand support you . Congratulations my dear! I have always read your write-up with much admiration. I am wishing you all the best in this your new decision which I find worth commending. You are already great, so use this very opportunity you have at the great Oxford University to crown that greatness. I am waiting for your name in the Forbes Magazine. Thanks once more and remain strong. Zainab here is wishing you all the best in your research. How I wish I knew when you were in my backyard Amsterdam I would have come Schipol to say Hello. Majority who have commented have encouraged you positively, I am going to take the middle of the road. 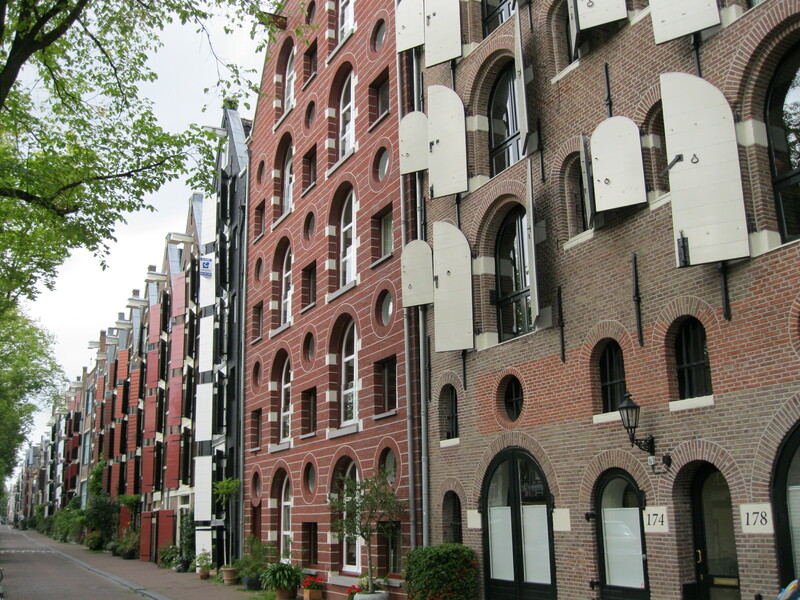 I have spend more than a year now in my research in Holland that has given me an opportunity for very deep reflection. Based on that I will advise that you try to balance all aspect of life without making yourself unhappy. It is a mixture of the opinion of our aged people and modern people. As a mail what give me the strength to continue on a four year journey in pursuit of PhD is family. There is no force in ‘settling down’ but there is however a need for balance. I was already preparing my invitation for a Skype conference on a panacea to our problem in Nigeria when I got this information. I will find a more apt avenue of letting you in on our agenda and during to see whether you will be able to participate. Meanwhile have a nice time as you define your research focus. Congrats. I’m so happy for you. We are very proud of you. Allah ya bada sa’a. hey u.Congratulations.Wish u the best Dr Zee (in advance).U r still young.I’m also back in school,adult education. May I say a hearty congratulations to you, Zainab. Please pursue your dreams as far as they take you and know that you are an inspiration to many. The comments about your need to settle down and get married are regrettable. But they come with the territory…and I expect that these attitudes are more prevalent from our compatriots. 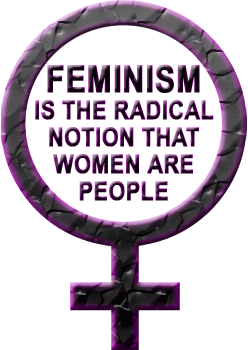 Despite the advances of modernity, we are still steeped in a patriarchal society in which misogyny is wrapped up in pious sounding bromides. A young lady who has set her sights on making her relational, professional and marital choices as she deems fit is still considered an anomaly. Many gifted women are limited by the cultural constraints set by male authority figures and cannot pursue their dreams. At the risk of sounding like a feminist, I’d suggest that our society still has major problems appreciating and coming to terms with successful goal oriented women. Therefore, my congratulations to you are twofold. First for your self that you succeed in this endeavour and earn a deserved name for your self. And secondly, that your success will help shatter the barriers that hold so many women back from fulfilling their true potential. Allah Ya kara miki albarka. I am congratulating you for this remarkabe effort, not least because I myself contemplated applying for the Dphil (that curious Oxonian nomenclature for what is universally called PhD in other institutions) in International Development at Oxford, but never found the time to go complete the tedious application process, despite the attraction of free funding. Your remarkable intellect & obvious academic endowment, always evident in sometimes provocative writings, would have been irredeemably lost had you succumbed to the native pressures of northern Nigeria and joined the harem of some hausa fulani polygamist in obedience to a defective culture that relegates women to subordinate role in society. Well done and my best wishes. Congratulations Zainab…. Its indeed a GREAT opportunity u have, use it!! However, that shudnt derail u from settling down whn u get the oppotunity. By experience, I believed marriage has nothn to do with kara2. The two works perfectly well togther. Allah ya taimaka. Zainab ALLAH ,yabada saa.Wish all best in your work . Congrats on this wonderful achievement. I pray that it is an exciting journey for you. Congrats, we hope that you’ll not relegate your incisive blog to the background. Allah Ya bada sa’a, amin. Congratulations. This is the confidence of a smart woman who knows deep within her that an education and work are one way to serve society and contribute to it’s growth. You are awesome and a role model for many young African women facing the same struggle. I wish you the very best. Be blessed. I never doubted you are a very smart humble woman. You challenge me positively. Congratulations Zainab! Well deserved. Anyone who knows you shouldn’t be surprised. Actually, I’d have been surprised if you didn’t forge ahead. Brains never made a woman less feminine, only more beautiful. We need solutions in Nigeria, and all the years of early marriages have not brought the much needed transformation. Lets go to school, and return with answers for our society! Marriage and Education are not mutually exclusive! I’ll be joining you for my D.Phil in a few months, so this is also very encouraging for me. I wish you all the best, you’ve always been a star. When I saw the ‘torrents’ of felicitations on your Twitter timeline, the first thing I did was to check your profile to confirm if there was any change. And the answer was right there. Congratulations. Your story is inspiring and well deserved. Just hope that your busy academic schedules would not deny your twitter followers, your views on issues bothering on global politics and international development. Hey Zainab, great piece of writing as always! Just wanted to wish you all the best on your next academic adventure and I have no doubt you will make everyone proud. I know at least 3 Nigerian women who have succeeded academically, have their own business and are happily married, no reason why you can’t have it all. Ya still young!! Congratulations! You are an inspiration and a positive role model to young girls, who need to know that it’s okay to have dreams and aspirations and to pursue them rather than becoming baby making machines just because that is all society deems them worthy of. There is more to us than wombs, we have brains, too! This is quite encouraging, i must confess. I have actually lived in the northern part of Nigeria and was deeply disappointed at the gross neglect that characterise girl child education. Am so impressed that you stood out and carved a niche for yourself, societal stigmatisation and disapprovals notwithstanding. That said, i must remind you that the usefulness of academic proficiency lies in its social applicability. your sterling academic qualifications amount to nothing if you fail to bring it into practical manifestation which would reflect in your environment and the general populace. Our society is already replete with educated derelicts, I pray you don’t add to the number. May God guide, protect and direct you in your endeavour. Kyan ‘ya mace, dakin mijinta, kiyi aure, idan mijinki yace kije kiyi boko sai kije kiyi. Masu tsinuwa bismillah. I humbly congratulate you girl, fellow hard working determined and focused young nigerian woman. Go forth and do good…your path is blessed. I wish you well in your studies and life and future.